In metaethics, there is a divide between those who believe that there exist moral facts independently of human interests and attitudes (i.e., moral realists) and those who don’t (i.e., antirealists). In the last half century, the field of religious ethics has been inundated with various antirealist schools of moral thought. Though there is a wide spectrum of different positons within antirealism, a majority of antirealist religious ethicists tend to see moral belief as an historically dependent social construction. This has created an environment where doing religious ethics in any metaphysically substantial sense is often seen not only as out of fashion but also as philosophically implausible. However, there is a lack of clarity as to what antirealists exactly mean by "construction" and what arguments they would use to support their views. 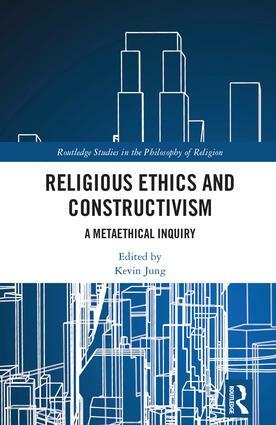 Religious Ethics and Constructivism brings together a diverse group of scholars who represent different philosophical and theological outlooks to discuss the merits of constructivism vis-à-vis religious ethics. The essays explore four different kinds of constructivism in metaethics: social (or Hegelian) constructivism, Kantian constructivism, Humean constructivism, and theological constructivism. The overall aim of these essays is to foster dialogue between religious ethicists and moral philosophers, and to open the field religious ethics to the insights that can be provided by contemporary metaethics. Kevin Jung is Associate Professor of Christian Ethics at Wake Forest University School of Divinity, USA. He is the author of Christian Ethics and Commonsense Morality: An Intuitionist Account (Routledge, 2014) and Ethical Theory and Responsibility Ethics (2011).